» The new America: Papers please! The new America: Papers please! 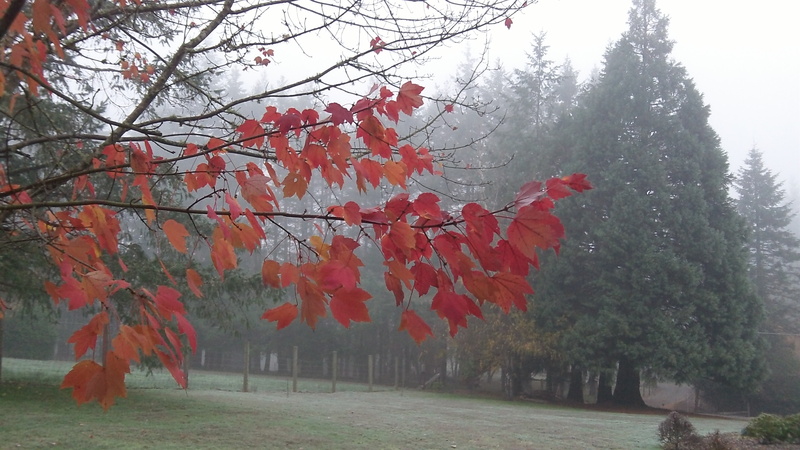 Fog and dying leaves: A melancholy time for thinking of picture IDs. Ever wonder how people get along if they can’t get a government-issued picture ID? If they’re like the woman who spoke to an Albany meeting last month, they feel like they don’t belong. It’s a sign of how America has changed — ever heard of the land of the free and the brave? — that often we are faced with demands to prove who we are. “Your papers please” is the curt phrase we associate with leather-jacketed agents of state security in authoritarian regimes. In America today, we hear something similar — more polite, perhaps, but insistent nevertheless — from ticket agents, sales people and registration clerks. Whether the reason is state security, prevention of ID theft or even terrorist attacks, the result is the same. Without “papers,” you are lost. On Oct. 27, according to the minutes, a joint meeting of the Albany Human Relations Commission and Hispanic Advisory Council heard from Maria, introduced as the friend of one of the HAC members. From what she said, she has a Mexican consular card, but in the phrasing of the minutes, she feels she does not belong to the city without picture identification. She also had been “detained” trying to get on a plane, and she’s had ID-related problems at her children’s school, with medical providers, and at the DMV, all of which left her fearful and uncomfortable. They DO have a State ID card. There shouldn’t be any reason a LEGAL resident can’t get one. So how did she get the “Mexican consular card”? Bill Kapaun aside, It is inevitable. The problem here is the advance of technology and the complexities of modern life. In the past, a persons word was good enough. Nowadays, with suicide bombers, terrorists watch lists, and instant communications, having available identification is a timesaver. The cops could always take you in under reasonable suspicion, but a clear ID saves the time of improper detainment. I understand the loss of times past. I’m sure every generation feels that loss at some point in time. but I doubt it can be changed. To me the problem of us older folks is that our aversion to inevitable changes causes turmoil between generations. There is a point when we need to yield to our children and grandchildren so that they can build the kind of society they want. We’ve had our time and chance to rule. We should be gracious to those whose time has come. When I was in 7th grade at Jefferson High School in 1976, I had a wonderful social sciences teacher. This was during the bicentennial, an exceptionally patriotic year. It was also during the Cold War. I clearly recall watching a film in class, which showed how people travelled in the Soviet Union, and contrasted it to travel in the U.S.A. In the communist Soviet Union, the state demanded papers and identification of folks as they boarded trains, planes, and crossed borders. This was held in contrast to the Freedom (with a capital T) in the U.S.A, where one could travel the length and breadth of this country without papers demand of us. Where we were traveling was our concern, not subject to the whim of the police. We have given up, gradually, with the consent of the majority of the population, so many small freedoms since that time. All for a good cause. All in the name of safety for the individual or for the greater society. I’m sure the Soviets believed the same. I believe I know what my social science teacher, a student of history herself, would think of this change. During WWII papers were not required here in the States. But if you appeared to possibly be of Japanese decent you were simply rounded up and moved. Not to communist concentration camps but to internment camps. Both had armed guards in towers. The difference was the wording. Even the commies had trumped up charges on paper. Not the Japs we imprisoned. Yes that is what our government called them. Virtually no Japanese were convicted of espionage. Lots of Italians and Germans were. But they were not interred. This nation still grants special privileges to native Americans but not to Japanese that lost everything. Citizens here are told ‘don’t give out your social security number’ but we have to. For the good of all we are subjected to lines and searches at airports. And people that cannot read or speak English well should be subjected to tougher drivers licenses. Most appear to get little, far less than average Americans born and raised right here. There is valid reason for checks at airports. There should be with drivers licenses, all types of government assistance, business license, and so on. A business that pays wages to those without valid Social Security numbers should be fined.